Boasting 4.8-inch Retina display (1920 x 1080 pixels) and quad-core A7 processor, iPhone 5S brings us an extraordinary visual experience. As an Apple iPhone addict, I bet you must wanna save some YouTube videos offline on iPhone 5S and cannot help imaging how intoxicating it will be to watch YouTube videos on the purported wide-screen display of iPhone 5S. However, there are many YouTube playback errors, for example, "Myself and my son both have new iPhone 5s and embeded YouTube videos do not play. They show the thumbnail with play button, but when clicked it say 'this video is currently unavailable'. Any advice?" Many Apple users found that they seem unable to play YouTube videos on iPhone or iPad when updating to iOS 7. Worsestill, the video downloaded from YouTube cannot be played on your iPhone 5S either because of the format incompatibility. In this case, the best solution is solve the problems is to download and convert YouTube video to iPhone 5S readable format for unlimited enjoyment. For the sake of playing YouTube video on iPhone 5S without limitation, MacX Video Converter Pro is a must-have program for you. 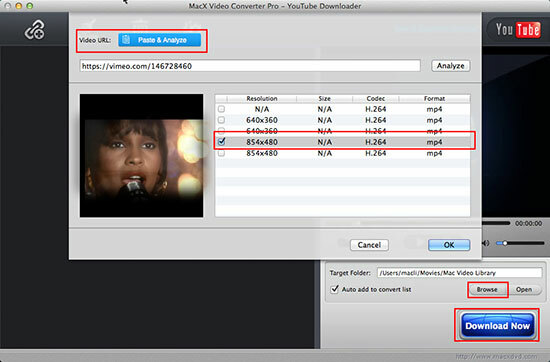 Integrating both YouTube downloader and iPhone 5S video converter, it can grab and convert YouTube video to iPhone 5S recognized video format like MP4 and H.264 on Mac OS X (Mojave included) with high output quality, letting you transfer YouTube videos to iPhone 5S and watch them without any restriction. No.1 YouTube downloader to easily download and convert YouTube videos to iPhone X/8/7/6S/6/5s/5c etc with excellent quality and fastest speed (5X faster). Besides the ability to save YouTube video on iPhone 5S, this video converter also offers a handy solution to create DVD compatible VOB files with videos from HD-camcorder, websites or made by your own and then you can burn the VOB files to DVD disc with DVD burning software so as to backup and share your favorite videos with your friends. 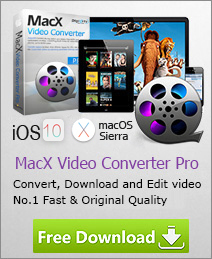 Download iPhone 5S video downloader on your Mac computer at first; if you are a Windows user, you could depend on MacX HD Video Converter Pro for Windows. 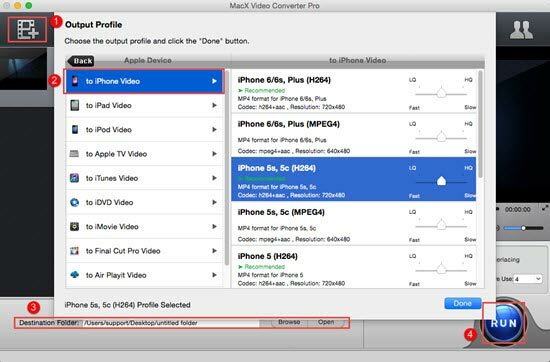 To save YouTube video to iPhone 5S compatible format, go and hit the "YouTube" button on the main interface of MacX Video Converter Pro, the built-in YouTube Downloader window will pop up automatically as follows. Copy and paste the YouTube video URL to the type box. After you click "Download Now", the rest will be automatically done by this YouTube to iPhone 5S downloader. Since you want to transfer YouTube video to iPhone 5S, choose "to iPhone" under "to Apple" channel as output format. Then choose "iPhone 5S" (MPEG 4 or H264) as output format. If needed, you can also edit the video using the Mac video converter, including stretching the video to full screen, trimming video segment, changing the video file size by adjusting the parameter settings, etc. After finishing the steps above, click "RUN" button to start to download YouTube video to iPhone 5S. You could view the conversion progress and are able to cancel the converting process at anytime. Notes: This YouTube to iPhone 5S downloader also owns powerful ability to convert a great deal of SD and HD videos, including AVI, MPEG, MP4, MOV, FLV, F4V, RM, Google TV, WMV, MKV, M2TS, H.264, etc, to many portable devices, so that you can transfer video to iPad, iPhone, Samsung, HTC, Nokia, etc for playback anywhere at any time. If you have any trouble in video conversion, why not try this app? It will prove to you that you have made a good choice. Wanna free download YouTube video movie or music to iPhone 7? Here this guide will introduce you the best-ever iPhone 7 YouTube downloader to download YouTube VR 360 video with fastest speed. To download YouTube video for offline playback on iPhone 6 iPhone 6 Plus is now available to you. Simply download MacX Video Converter Pro and then you can fast convert YouTube video to iPhone 6 compatible format for unlimited playback with highest quality. Anyone eager to download 4K video to iPhone 6 can stay on the guide. MacX Video Converter Pro is the optional choice to download Ultra HD video from YouTube at fast speed and convert 4K UHD video to iPhone 6 format with maximum quality reserved.